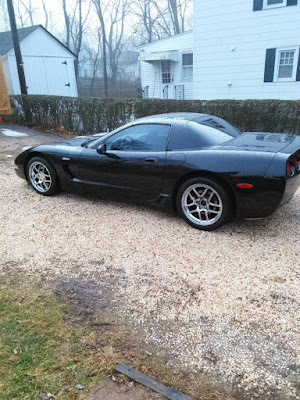 About a month ago, I wrote up a 1995 6 speed Corvette that was advertised for a paltry $5500. 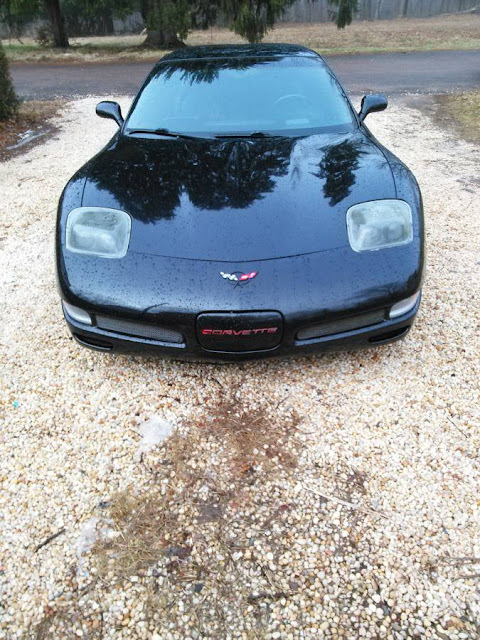 The 300 hp C4 Vette seemed to represent the best bang for the buck at roughly five grand. 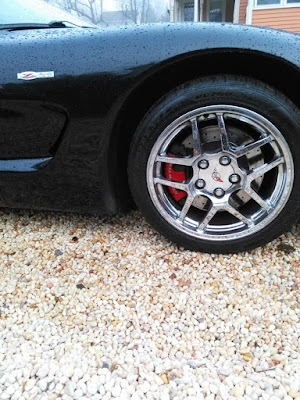 This C5 Corvette Z06 is almost ten grand more than C4, but it's performance envelope is in whole another league. Is there a better performance car out there for under 15 grand? Find this 2002 Chevrolet Corvette Z06 for sale in Portland, CT for $14,000 via craigslist. 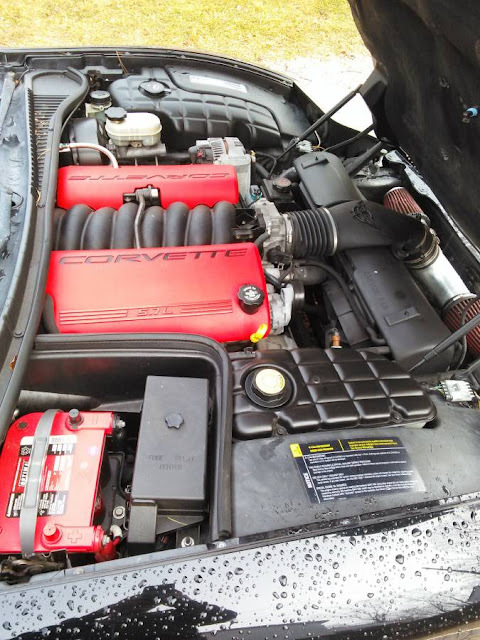 For 2002, the Z06 package LS6 engine gained 20 horsepower for a total of 405. 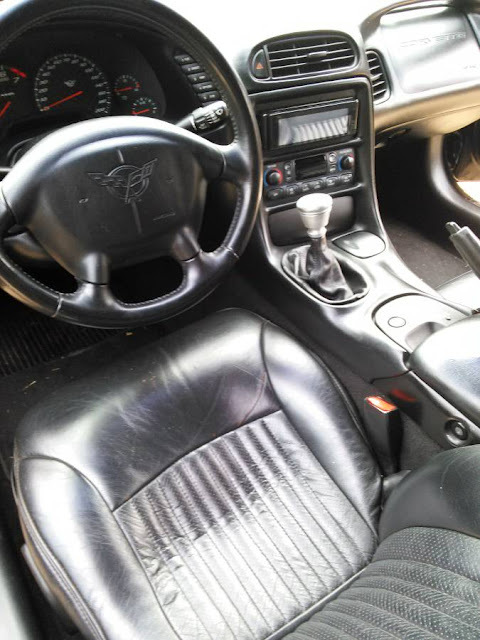 The only transmission available was a 6 speed manual and came strictly as a hard top. The Z06 rips off four second 0-60 times and will go 0-100 mph in less than 9.5 seconds. The car sports a titanium mufflers that sound the business compared to the base model's pipes. If you head to the track, the upgraded brakes and suspension will not let you down. Auto magazines quoted 60-0 stops in just 104 feet and the car runs through the skid pad a .99 g.
The seller mentions oil changes being with Mobil 1 since new leading one to believe they are the original owner. The car now has 135,000 miles on it. The clutch, flywheel, tune up, tires, and brakes were all done at 100,000 miles. Aftermarket additions include a cold air intake, skip shift delete, funky shift knob, and ecu tune which result in a claimed 450 hp. The only place that all C5 Corvettes falls flat was the pedestrian interior furnishings. The seats and level of materials used were not up to par with the pricier foreign competition. If your only concern is going fast, it is easy to look past this deficiency. Interesting fixed headlight conversion, not enough pictures of the front to tell if it looks good or not.